Slightly cooler temperatures are headed for the Rio Grande Valley. A cold front is expected to pass through the Valley sometime Tuesday afternoon that will cause evening temperatures to drop to the uppers 60s. The highs on Wednesday will be in the upper 70s. 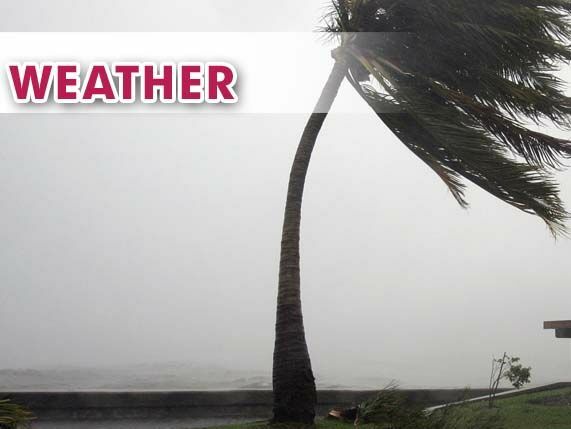 The National Weather Service in Brownsville reports showers and thunderstorms will accompany the cold front and that some of these storms could produce heavy rainfall. The heavy rainfall could possibly cause flooding in low-lying areas. There’s a 70 percent chance of heavy rain Tuesday afternoon, a 60 percent chance of showers Tuesday evening and a 40 percent chance of showers on Wednesday.